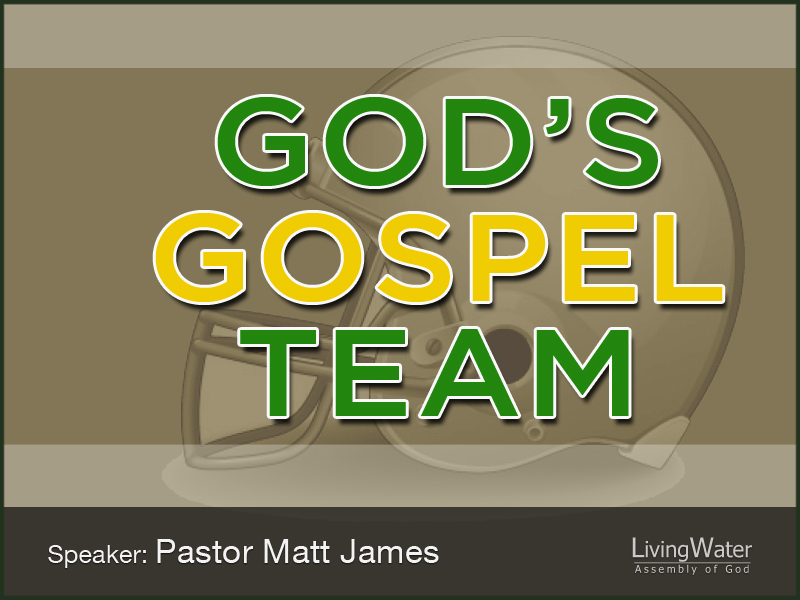 God is constantly assembling a good team to proclaim His Good News! Keep our eyes on Him! Vince Lombardi was arguably the greatest NFL coach of all time. Five NFL Championships including Super Bowl I & II (67 & 68) with Green Bay Packers. He had many great says about determination, commitment, success, sacrifice, discipline, teamwork, leadership, etc. He had a great passion for the game and for the team. Paul calls attention to all those who are on God’s team. Our confidence in God allows us to do great works for God. The thing that God wants most from us is to trust Him. Trust – belief that God is reliable, good, honest, effective…etc. Trust worthy. Psalms 100:1-5 God is good. The Gospel established the children of God. The Gospel leaves no room for doubt! The only proper response we can have to God’s Gospel is to live for Him. 53:4-6 and the Lord has laid on Him the iniquity of us all.” Jesus is the Lamb of God spoken of through the sacrifices in the Law. 16:6-10 / 20-22 our sins are taken from us forever. Looking back at all that God has done, written or spoken over all mankind how can we not believe Him now? What is your testimony about God because of our Savior? Psalms 119:175 “Let me live that I may praise You!” God has let me live when I should be dead in my sins! I don’t have to worry or fear or doubt God now or the future He has for me! Our job is to trust in Him! We have one job: to believe that He is who He says He is! Let’s do it well! Don’t be afraid to live for God.